Sci-fi, my reasoning goes, plays an informal and largely unacknowledged role in setting public expectations and understanding about technology in general and AI in particular. That, in turn, affects public attitudes, conversations, behaviors at work, and votes. If we found that sci-fi was telling the public misleading stories over and over, we should make a giant call for the sci-fi creating community to consider telling new stories. It’s not that we want to change sci-fi from being entertainment to being propaganda, but rather to try and take its role as informal opinion-shaper more seriously. Now that the series has come to end, Sebastian Sadowski has visualised the findings from the posts making it easier to explore the themes and relationships between films. 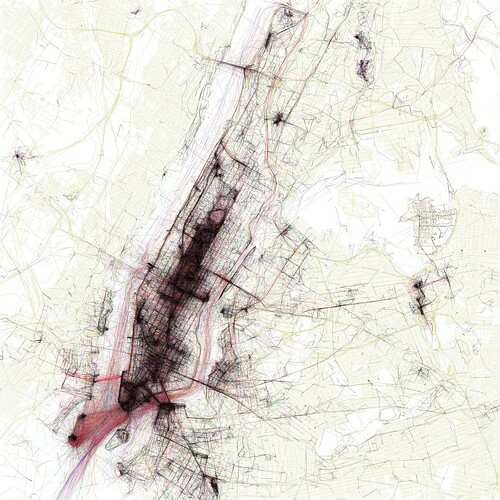 Following on from The Geotaggers Atlas is Locals and Tourists, again by Eric Fischer. Blue pictures are by locals, red by tourists. 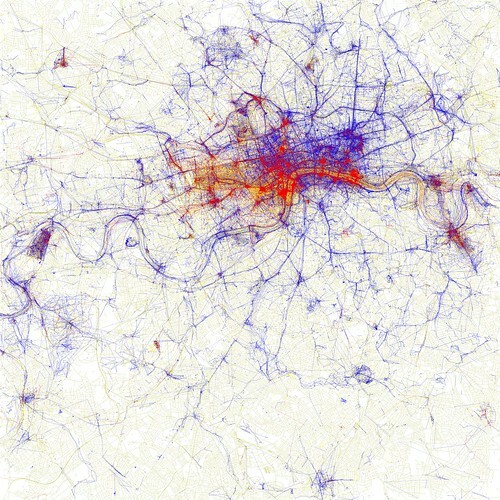 50 Major cities of the world mapped via geotagged Flickr photos. Beauty in vectors, from the Flickr Blog.